CHICAGO – Family 4-packs! 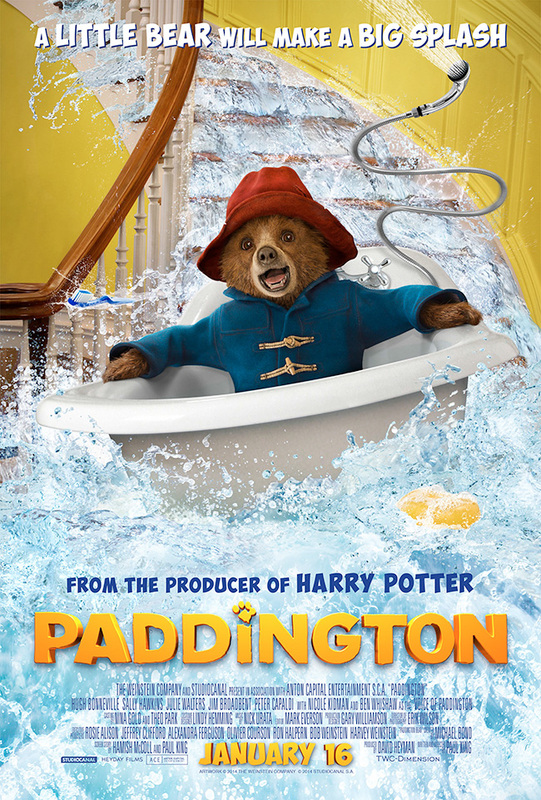 In the latest HollywoodChicago.com Hookup: Film, we have 20 family 4-packs (80 seats in total) up for grabs to the family comedy “Paddington” from “Harry Potter” producer David Heyman based on the beloved novels by Michael Bond! Note: When entering, you MUST enter your preference for a family 4-pack or admit-two tickets. “Paddington,” which opens on Jan. 16, 2015 and is rated “PG,” stars Ben Whishaw as Paddington along with Nicole Kidman, Sally Hawkins, Jim Broadbent, Julie Walters, Michael Gambon, Imelda Staunton, Peter Capaldi and Hugh Bonneville from writer and director Paul King. To win your free “Paddington” passes courtesy of HollywoodChicago.com, just get interactive with our social media widget below. That’s it! This screening is on Saturday, Jan. 10, 2015 at 11 a.m. in downtown Chicago. The more social actions you complete, the more points you score and the higher yours odds of winning! Completing these social actions only increases your odds of winning; this doesn’t intensify your competition! From the beloved novels by Michael Bond and producer David Heyman (“Harry Potter”), “Paddington” tells the story of the comic misadventures of a young Peruvian bear (voiced by Ben Whishaw) who travels to the city in search of a home. Finding himself lost and alone, he begins to realize that city life is not all he had imagined – that is, until he meets the kindly Brown family who read the label around his neck that says: “Please look after this bear. Thank you.” As they offer him a temporary haven, it looks as though his luck has changed until this rarest of bears catches the eye of a museum taxidermist. The movie poster for “Paddington” starring Ben Whishaw based on the beloved novels by Michael Bond. This HollywoodChicago.com Hookup is simple! Just get interactive in our social media widget above. We will award 80 seats in total (either as family 4-packs and/or admit-twos) based on social entry numbers and/or randomly via e-mail for our “Paddington” Hookup. Good luck!